Chart of a Legal Professional as per Astrology. Today is the 2nd article on various professions as per Astrology. It is regarding chart of a Legal Professional. First I thought of making a combined article for Legal/Medical Professional as main houses related with both professions are same but to avoid confusion on eclipse day, I am going to make separate articles on Legal and Medical Professions. Also, a Legal Professional not necessarily means a Lawyer only. 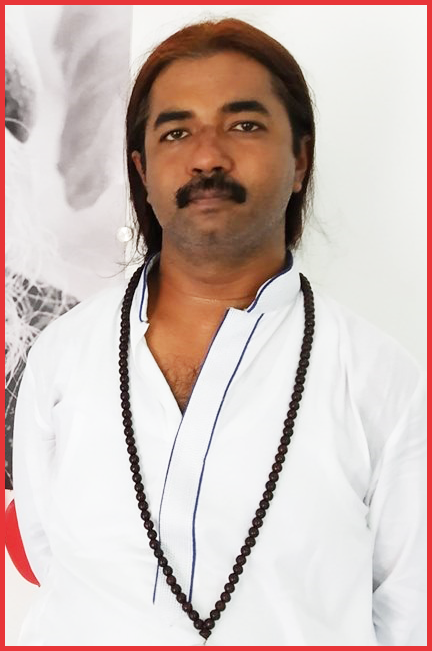 He can be a Lawyer, a Law Teacher, a Para-Legal, a Law Officer, working in Corporate in Legal Services, serving in LPO industry or simply a rights activist like Human Rights, RTI or Child Rights etc. I think we can cover this series by theory and one practical example of chart. Like, 1st I will tell what can make a person enter a particular profession and then we can see a chart of a person in same profession to see theory working in practicality. 6th house – 6th house is main house related with disputes, conflicts and litigation. 7th house – 7th house is 2nd from 6th house. Hence, it is the result of 6th house. What can be the result of dispute? That you land in court hall. 7th house represents Court Halls. 9th house – 9th house is main house related with Law. It can also show someone as a Law Teacher. 3rd house - As it is house of business and communications skills. It shows how well you present your case in court or how well you interact with your client? 10th house – But in the end, I feel that one has to have good 10th house as it is house of Authoritative Figures like Judges. One can be good with knowledge of Law or presenting his case in an excellent way but if 10th house is trashed then it shows that he may not get any favour from Judges or Courts and in the absence of favourable orders, he can’t continue in the profession for a long time. Earth Signs – Earth Signs especially Virgo and Capricorn are important signs here as Virgo being the 6th sign represents the energy of 6th house as stated above. Capricorn being the 10th sign represents the energy of 10th house as stated above. Libra – As it is the sign of Justice, Fairness and Mediation between warring parties. Sagittarius - As it is the sign of higher education and Law. Again, it can create a Law Teacher too. Gemini – Gemini being the 3rd sign represents the energy of 3rd house as stated above. It again shows how well someone can run business and how well he can present his case as it is sign of communication skills? Jupiter – It represents Law. But mainly Jupiter shows someone who can teach the Law as Professor or someone who interprets the Law as Judge or someone who passes the Law as Legislator. Saturn – It is Lord of Justice. So, it is the main planet for career in Legal Profession or Law & Administration. Also, Saturn is the reason why Lawyers taste success only in old age because Saturn makes them work hard with perseverance before giving them any result. Mercury – Again, as it represents communication skills, Mercury’s prominence is necessary in chart. Mars – Last but not the least, strong Mars is necessary for fighting ability. Someone who can fight for Justice with Legal ways. Nakshatras of Jupiter-Saturn – All Nakshatras of Jupiter & Saturn are important here as Jupiter represents Counsellors and Saturn represents Law. 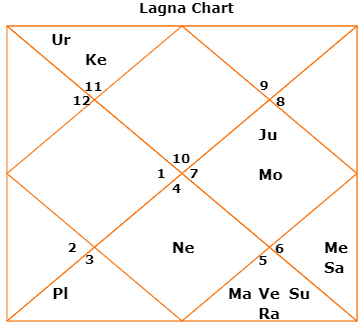 Uttara-Phalguni – As its majority portion falls into beginning of Virgo, a sign of conflicts. Chitra – Due to mythological story of Sun and Sandhya, it is a nakshatra of marital conflicts. Hence, it can create a Family Court Lawyer. Sravana – The main nakshatra of Counsellors. Dhanishtha – Another nakshatra of marital issues which can lead to litigations. Various Combinations - Now, any combination between these houses, planets, signs and nakshatras can create a Legal Professional. Any combination between these planets, houses, signs & nakshatras where energy exchanges between them will be enough to make a Legal Professional in proper dasha time. Atma Karaka or Amatya Karaka - If Jupiter or Saturn becomes person's Atma Karaka or Amatya Karaka, then things can be more prominent to become a Lawyer as these two planets represent Counsellors or Law. Sometimes Mars can also show the same thing as it can represent a Legal Fighter or Activist. Mahadashas - But as always, dashas will activate houses or planets and person will have realization at that time to take up Law as Career. Example Chart - Finally, let’s take a look at chart of legend of Legal Field, i.e. Mr Ram Jethmalani. Capricorn Ascendant – A life path of Law and Administration of Justice. Saturn in 9th house/Virgo with Mercury – Life Path going towards higher education, law and guiding people with perfect communication skills (exalted Mercury). Mercury is also his 6th house lord and exalted in 9th house. Jupiter – Jupiter in 10th house/Libra with Moon. Jupiter, 10th house and Libra all related with Law. Moon rules 7th house/Cancer of court halls. He has Sun-Venus in Uttara-Phalguni, Saturn in Chitra and Jupiter in Vishakha Nakshatras. We may feel that he got a great chart, hence he became a great Lawyer. But even with this great chart, he had to initially put his hard work with perseverance without much success and it was only at the age of 38 years when he got his 1st major fame with Nanavati Case of 1961. So for him also, Saturn played its role and moreover it was Saturn-Jupiter dasha for him, both planets of Law and Justice.